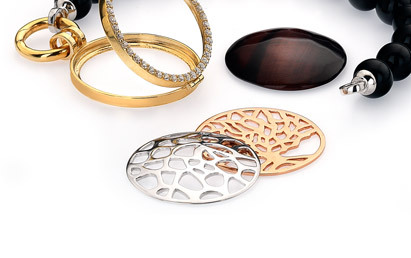 This 925 sterling silver, rose gold plated disc has a delightful circle cut out design. This disc is both interesting and enjoyable to wear layered with other discs and on its own. This thin, flat 32mm disc fits perfectly in the large size lockets. Available in 23mm.